The Mane Objective: Get a Taste of Tahiti with Be Kekoa! Get a Taste of Tahiti with Be Kekoa! It's no secret that I absolutely love Brandie and everything she and the Be Kekoa brand represents. In a day and age where businesses and brands are clamoring for your coins, it's nice to be able to cut through the noise and experience authenticity. Experience a brand that truly cares about its customers. Experience a brand that believes in giving back and empowering people of color. 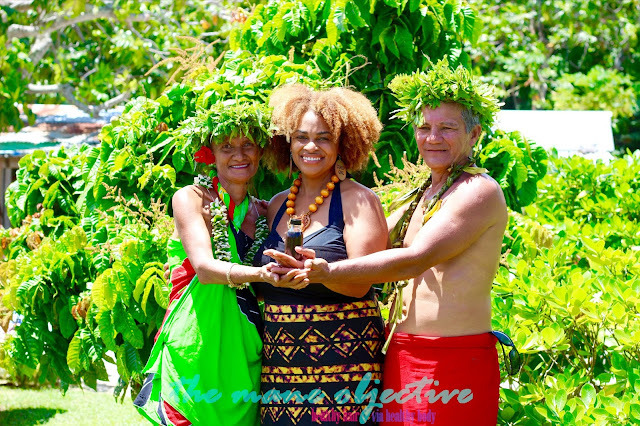 The beloved Tamanu and Cocomanu oils sold by the Be Kekoa brand are imported directly from Huahine, and other islands in Polynesia in an exclusive, fair-trade agreement with local communities. Through this agreement, the families that produce the Tamanu and Cocomanu oils by hand on the islands are directly empowered economically and able to provide for themselves and lived an improved quality of life. Every drop of both oils is harvested, pressed, and crafted by hand - following ancient traditions of oil making; and the families doing it are compensated fairly and appropriately for their arduous work and time invested in production. I witnessed it for myself - how the oils are produced, and how each purchase financially empowers these families. 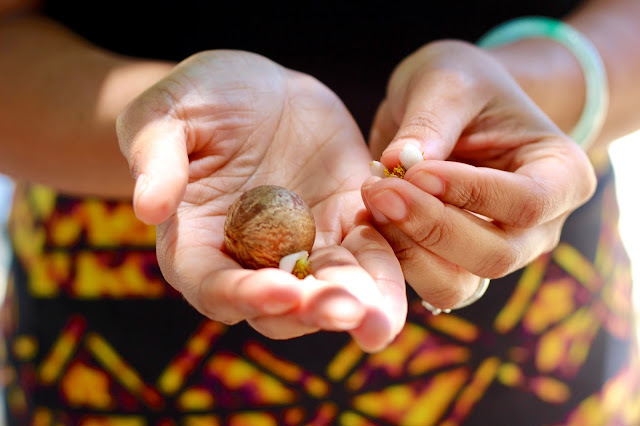 The nut of the Tamanu Fruit - pure gold in there. Most major companies (save for a few) don't give a damn about empowering communities of color. They'd rather exploit people of color and indigenous communities for their knowledge, take advantage of their natural resources, and then cut them completely out of the picture financially. Those same companies dilute the natural product, add in fillers and crap, and then turn around and market a subpar bottle of junk at a ridiculously inflated price. Y'all believe me when I say Tamanu and Cocomanu are not just oils. Lives are literally changing through Be Kekoa. Which brings me to Taste of Tahiti in Temecula, California. Taste of Tahiti is a non-profit organization founded in 2014 by a small group from the island of Huahine with two objectives. 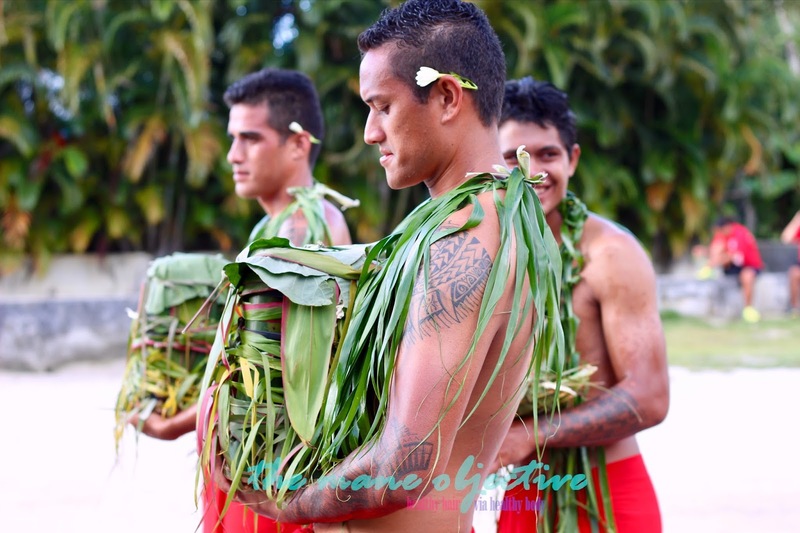 One, to raise awareness and keep the traditions of the triangle of the Pacific (Polynesian islands, New Zealand, Hawaii) alive through culture, food, music, dance and people. Two, to host events of the same name in an effort to foster positive economic impact on the islands through fundraising, tourism, and natural resources. Words can't express how beautiful this place is. 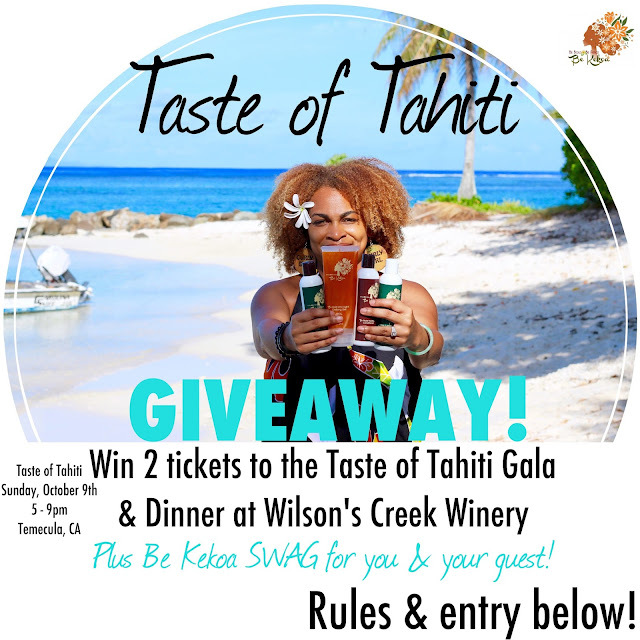 This year, the Taste of Tahiti event is an all day extravaganza hosted at Wilson Creek Winery in Temecula, California on Sunday, October 9th 2016. From 10am to 4pm there is a free festival featuring dance workshops, arts, crafts, music, and vendors from the islands. From 5pm to 9pm - it's going down at the extravagant Gala & Dinner under the stars. We're talking wine flowing (you need at least 1 glass of Wilson's White Cabernet, trust me), fresh clams, mussels, and oysters along with lamb and venison flown directly in from New Zealand. Fresh Ahi and vanilla desserts flown in from Tahiti. 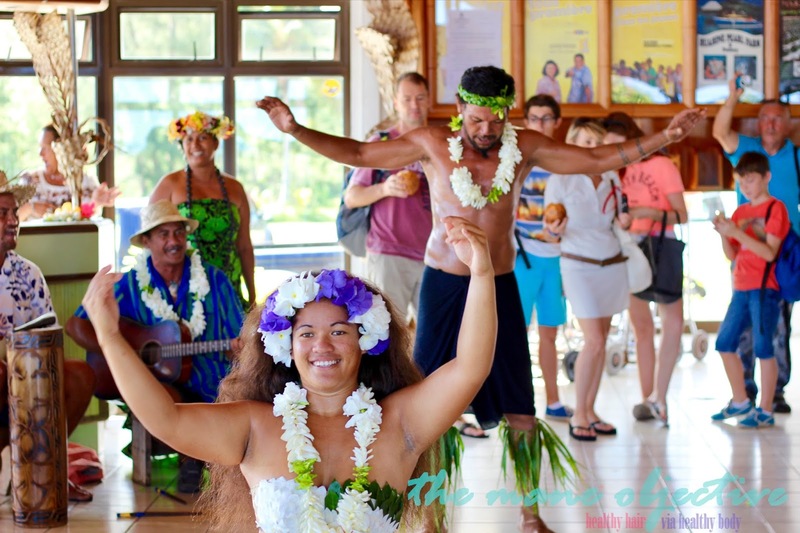 Live bands and dancers from the islands of Raiatea, Huahine, Hawaii, and New Zeland. Gala & Dinner tickets are $79 each, and I'm gonna be there for sure. But guess what?! You can be there, too! Be Kekoa is sponsoring an exclusive giveaway (with me!) 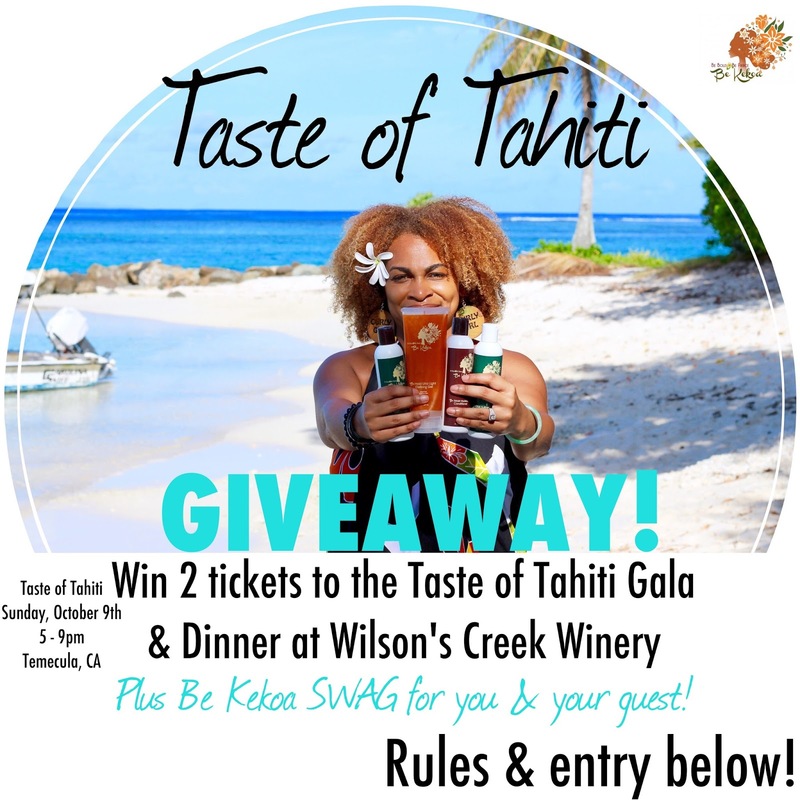 to give away TWO tickets to the Taste of Tahiti Gala & Dinner at Wilson Creek! PLUS - you and your guest will each get a bag full of Be Kekoa goodies! The value on this prize pack?! WELL OVER $200! All persons entering must live locally (Southern California) and provide their own safe transportation to and from the Taste of Tahiti event. Be Kekoa and The Mane Objective are not responsible or liable for any aspect of transporting prize winners. All persons entering must be 21 and over. Taste of Tahiti is at a winery, where alcohol is readily available. A maximum of one entry per person per day is allowed during the window of the contest. Upon notification that they have won, the contest winner must supply proof of age and residence, and complete a waiver of liability and hold harmless agreement. If any of the aforementioned conditions are not met by the winner within 48 hours of notification, another winner will be chosen. That's IT! The contest will officially close on Tuesday, September 20th at 11:59pm PST. Winner will be announced here on the blog and via Instagram on Wednesday, September 21st. Good luck everyone! Let me know in the comments below if you have any questions as well! See you at Taste of Tahiti 2016! 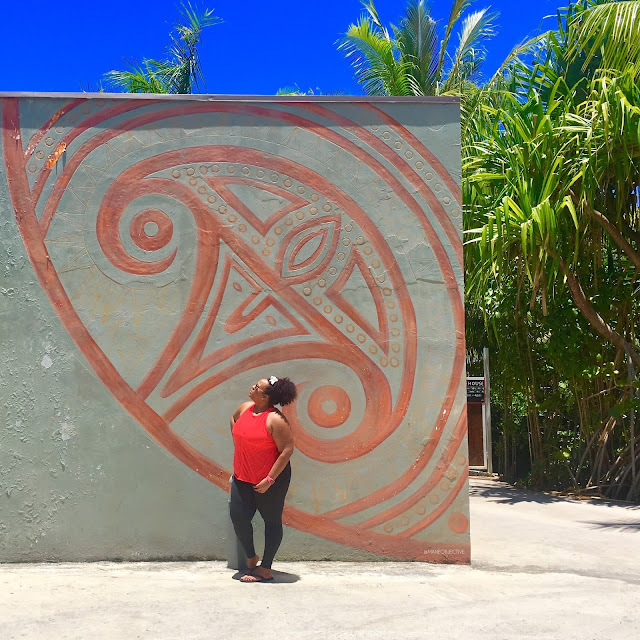 My name is @kayelaine I would love to attend this event because I have never experienced the culture of Tahiti and I would love this opportunity for an introduction. Also I have been wanting to meet you and let you know in person how much your platform has impacted me personally. Your impact is bigger than hair and wellness and I love you for it. The chance to try bekekoa products is the icing on the cake for sure! The reason why i would like to attend Taste of Tahiti I I was in a club in high school that focus on the cultures of Polynesian New Zealand and other Asian countries. It brought awareness to everyone and that's what I like joining cultural clubs in high school and college because you get to a better understanding of what people struggles are and how their culture are represented. I'm a preschool teacher so I was trying to influence bringing cultural awareness to the classroom in order to evolve as a nation it's all about understanding everyone and taking the time to understand everyone this event seems very interesting I'll probably learn a lot of things that I never learned before and I'll be gladly to tell my students and show them how we may be all different but we all are alike in many different ways and these events are happening around the world it starts with one event at a time thank you for the opportunity to bring this event to your viewers I appreciate it I met you a while back at natural hair event in LA you're truly an amazing woman congrats on your new blessing that you will be a new mother. I'd love to attend Taste of Tahiti because it will will give me a chance to show my husband a glimpse of where part of my family comes from........without having to miss a week of work! I would LOVE to attend the Taste of Tahiti with my best curlfriend because we would have an amazing night surrounded by other curly girls while enjoying delicious wine and food! This giveaway was made for us! My name is Ashley and I would love to attend Taste of Tahiti because I love culture! I love learning about different ones and what makes them unique. BeKekoa hair studio is where I was introduced more and more into the traditions. I loved my experience there and my hair looked amazing afterwards! I enjoy good food, good people,and best of all I love Temecula! This is an amazing opportunity to not only learn, but have an amazing time with one of my girls! Perfect girls day! I want to go to Taste of Tahiti because…food + wine + Bae Clean....OH MY!!! I would like to go because it's sounds like al all over fun experience! I love music, food and wine! I think it would be a nice get away for my husband and I. Plus there isn't many places like Be Kekoa around here, gotta support them. I'd love to go to Taste of Tahiti because I ❤️ The Mane Objective & Be Kekoa's Be Clean! The photos are already very inviting. I can’t wait to get there and experience the culture and its people. I'd like to attend the Taste of Tahiti because I love being exposed to other cultures besides my own, and I'm a bit of a wine fanatic. Plus...you've been talking about Be Kekoa products for the longest, so to attend this all-in-one experience would be epic! And...sounds like a great staycation for us locals. I'd like to attend Taste of Tahiti because you have my interest peaked about all things wine and bae clean!! I would to attend this event because I love anything and everything with learning about another culture. I have been to Tahiti and I fell in love! The water, the food, the land, everything absolutely beautiful and breath taking. I would love to have one of my best friends experience the piece of heaven I have and share that joy with them. And of course, wine, music, and Temecula?! You cannot go wrong with that! Christine! Congratulations!!! E-mail me at info[at]maneobjective.com for details on how to claim your prize! See you at Taste of Tahiti!!! Hi, my name is Iris and I would LOVE to attend the Taste of Tahiti event because it seems like it would be an amazing experience. Living in Hawaii for 3 years opened my eyes to part of the Polynesian culture (to where I actually joined a Hula Halau and also took Tahitian dance classes) and made me want to experience more, along with the chance to obtain goodies from Be Kekoa. This would also give me an excuse to get my husband out of the house for a date! Wow... this is amazing... I'm @sincere8kris on IG... and I've been following Be Kekoa for a while now... maybe more like stalking... as I'm very interested in her products yet staying true to my promise to myself (not buying any new products till I use up the products I've hoarded over the last 2 years). Anywho... reading about the ingredients are ethically sourced, and how the community stays actively involved definitely made me shed a thug tear as I'm becoming more and more informed and conscious of Black's and people of color's role throughout the world... I swear, I just want us to win... somehow. Sorry for the rant. The cause is great and all of its inclusions are things that win my heart over with pure blissful joy (culture, food, natural hair, and wine)! Plus... the stalker in me (non-threatening type) would love to get out of my comfort zone and mingle with you and Brandie! eToro is the most recommended forex broker for new and professional traders. Wonderful post, thanks for this awesome giveaway Christiana Ma'am.